Two historical and educational programs will be presented at the Monroe County Welcome Center (Shoemaker School) in Columbia beginning at 1 p.m. on Saturday, Feb. 1. Retired educator Dennis Patton of Columbia has been researching the Kaskaskia-Cahokia Trail, the first road in the Illinois Country that was mentioned as early as 1718 with the building of Fort de Charters. Working with the Columbia Heritage and Preservation Commission and Monroe County Tourism Board, and through contacts with the Peoria Tribes of Oklahoma, Patton has compiled information about the trail that ran through St. Clair, Monroe and Randolph counties. The trail was originally used by archaic tribes more than 10,000 years ago and used by Native American Mississippian mound builders 1,000 years ago. It was a French fur trader route, and became the road that precipitated the development of Cahokia, Dupo, Columbia, Waterloo, Burksville, Renault, Prairie du Rocher, Kaskaskia, and Chester. Officials from the Peoria Tribe are planning a visit to our area to visit Cahokia Mounds and travel the Old Trail this spring. 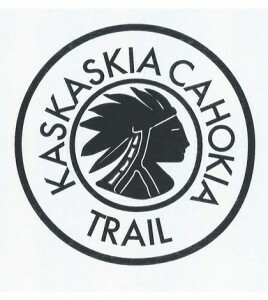 The goal of this effort is to have the Kaskaskia-Cahokia Trail marked with signage and receive the recognition it deserves. In addition to a presentation about this trail during the Feb. 1 program, information will also be presented by Mounds Heritage Trail advocate Suzanne Kutterer-Siburt. The Mounds Heritage Trail combines the slower-paced opportunity of the bikeway for cyclists and pedestrians with the convenient opportunity of a vehicle tour for those with limited time or mobility. Connecting the World Heritage Site of Cahokia Mounds State Historic Park, one leg enters St. Louis, and another leg of the trail heads south to Columbia. The trail provides a unique blend of historical, cultural and natural features. Along the trail, one can visit not only mounds sites, but museums, historic buildings, cultural landmarks, and more. There are venues for refreshment, shopping, and entertainment on or nearby on the trail. 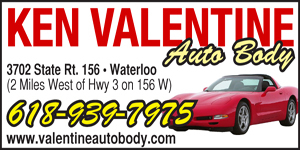 For more information, email dpatton1949@yahoo.com.